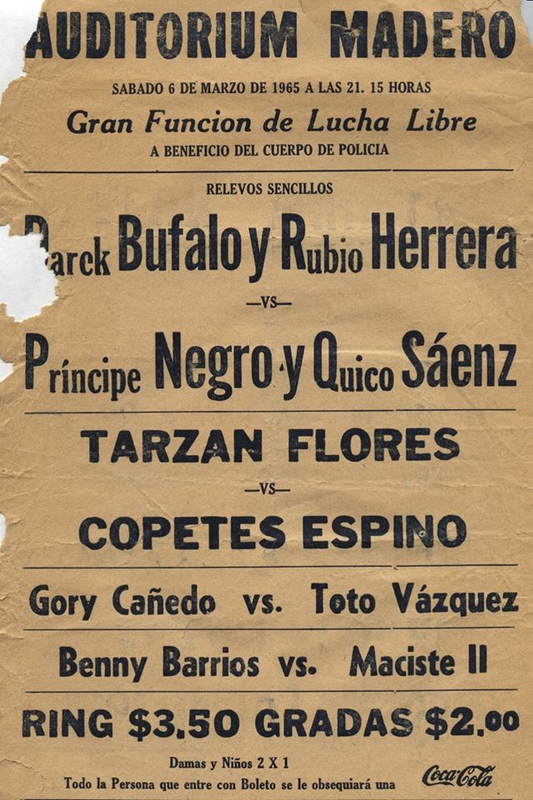 1) Chico Torres vs ? 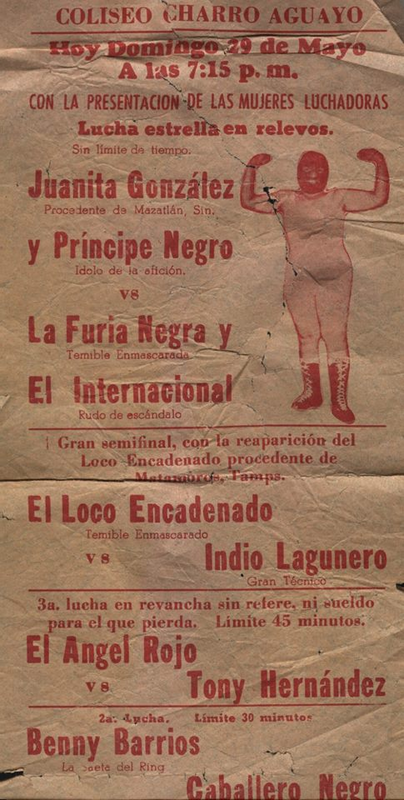 ## Irma's mask vs India's mask. 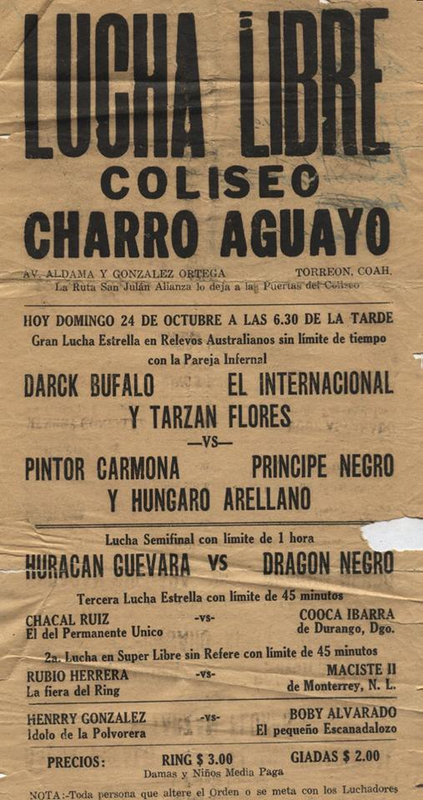 Irma likely won. 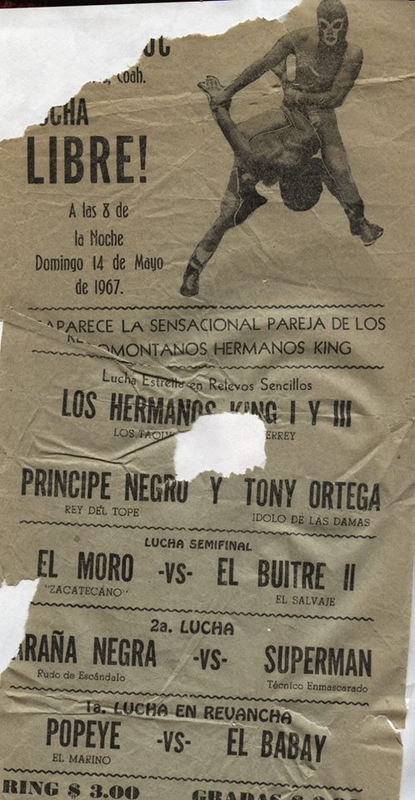 7) Joe Marín © vs Sergio Borrayo [NORTE MIDDLE] Event Notes: Gomez has transitioned from wrestler to promoter at some point in the last couple of years. 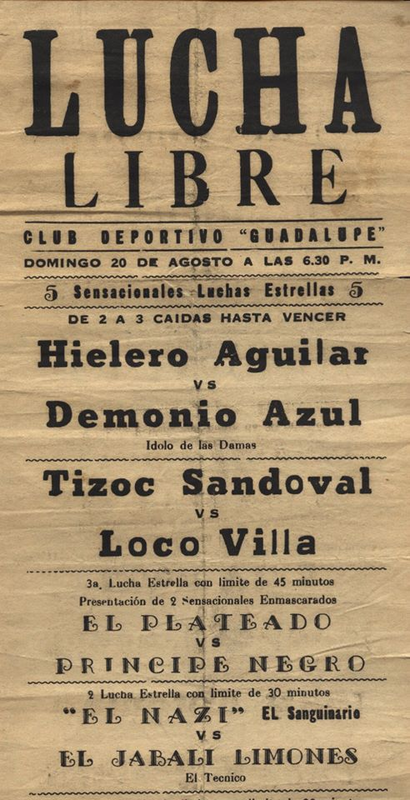 2) Tizoc Sandoval vs ? 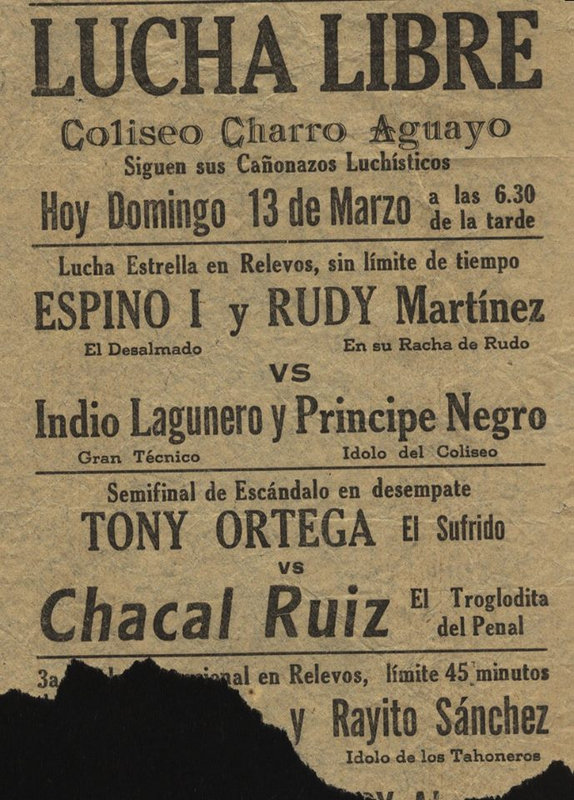 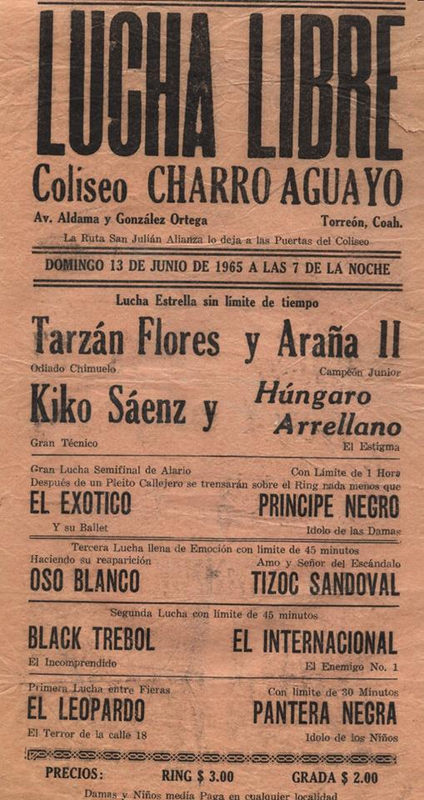 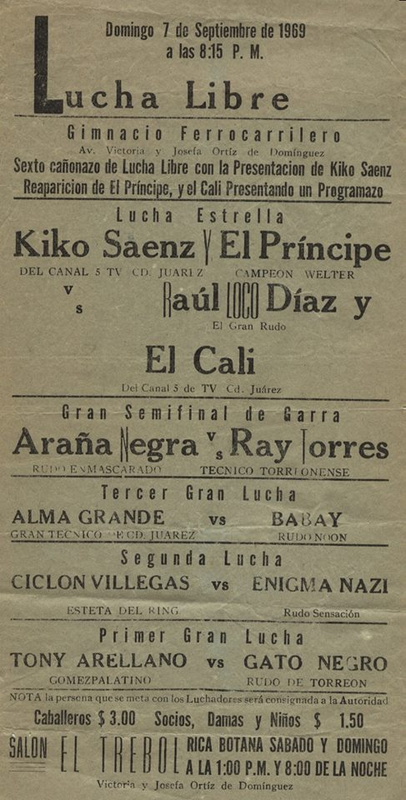 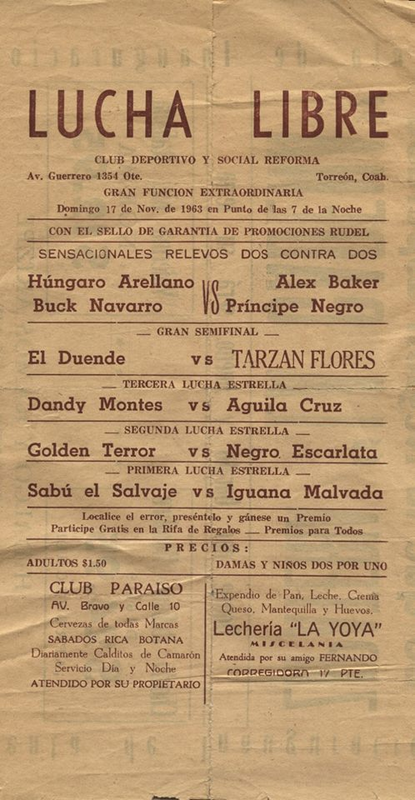 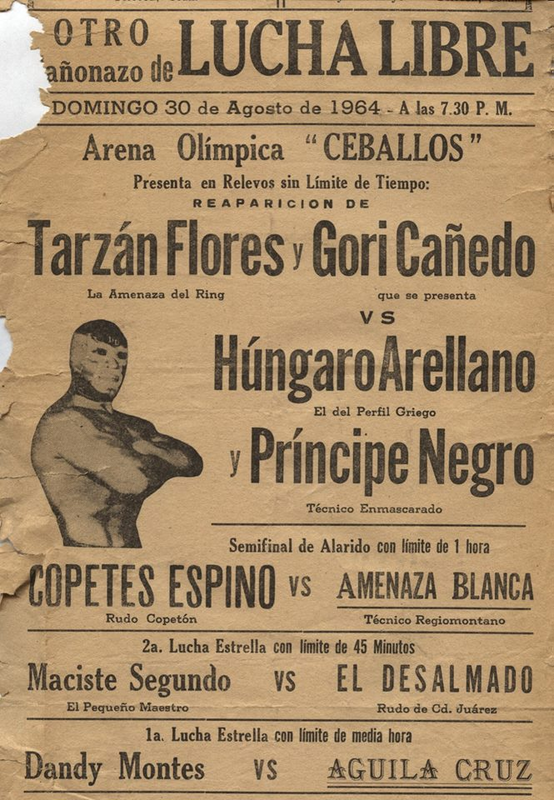 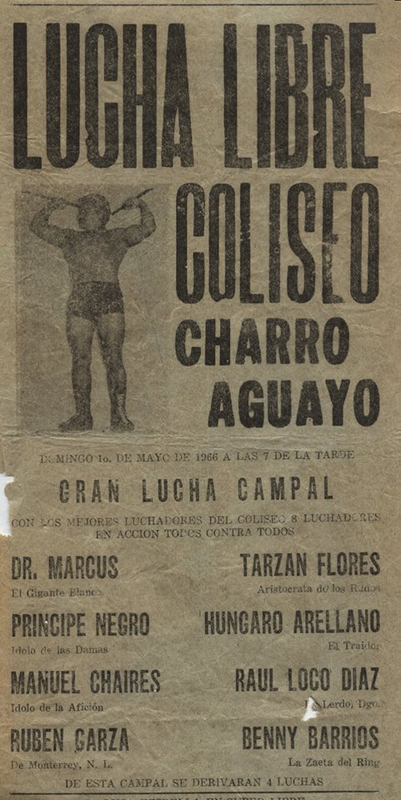 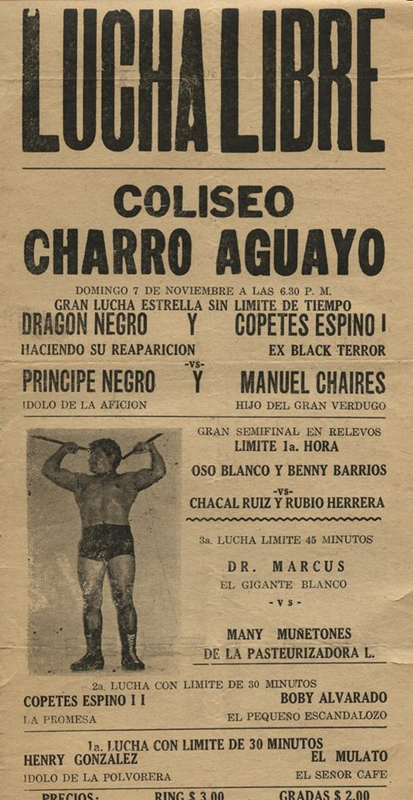 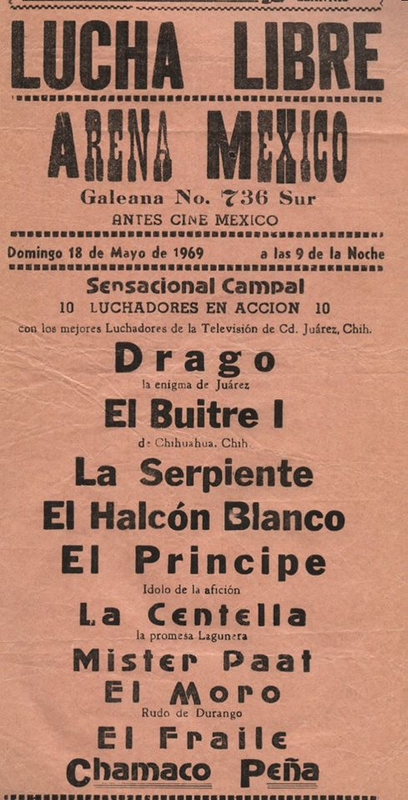 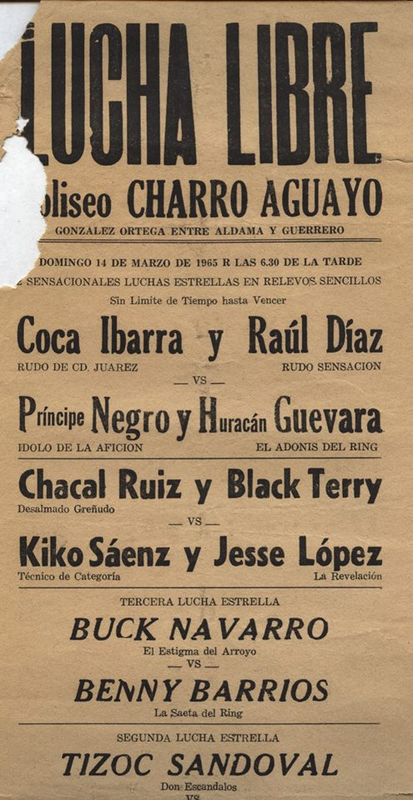 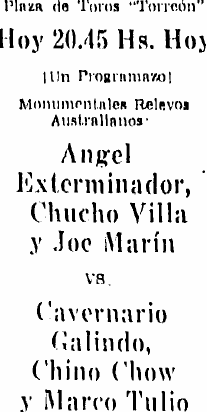 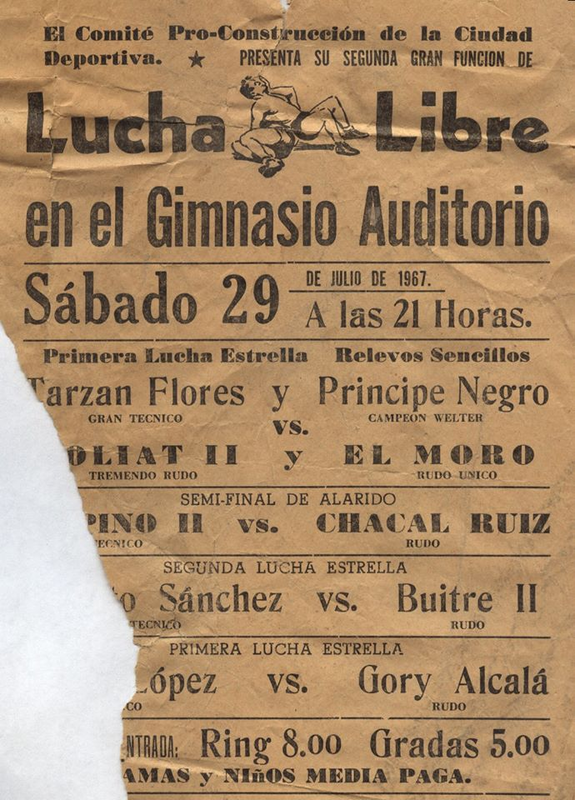 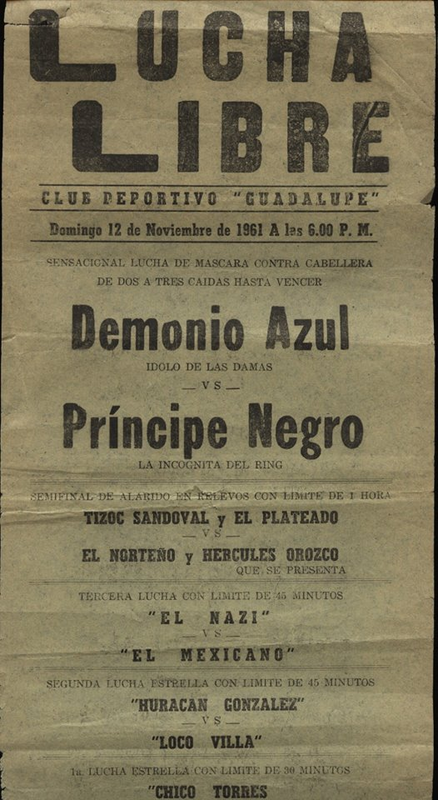 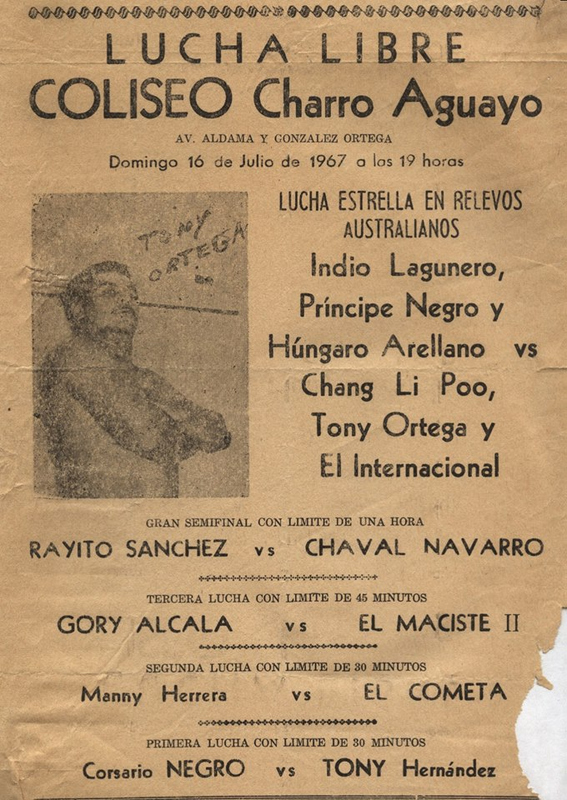 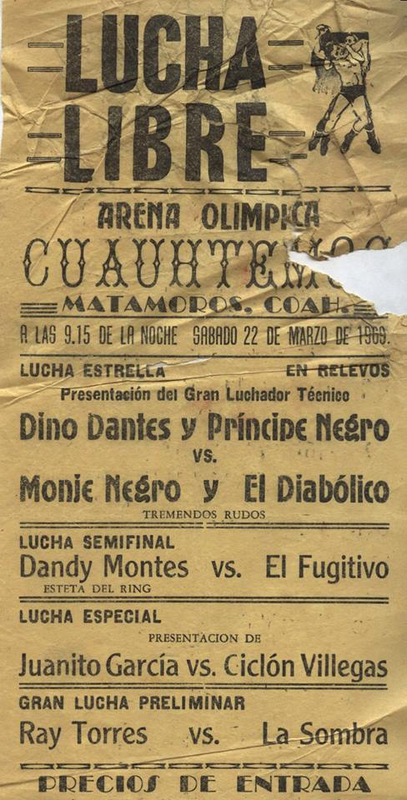 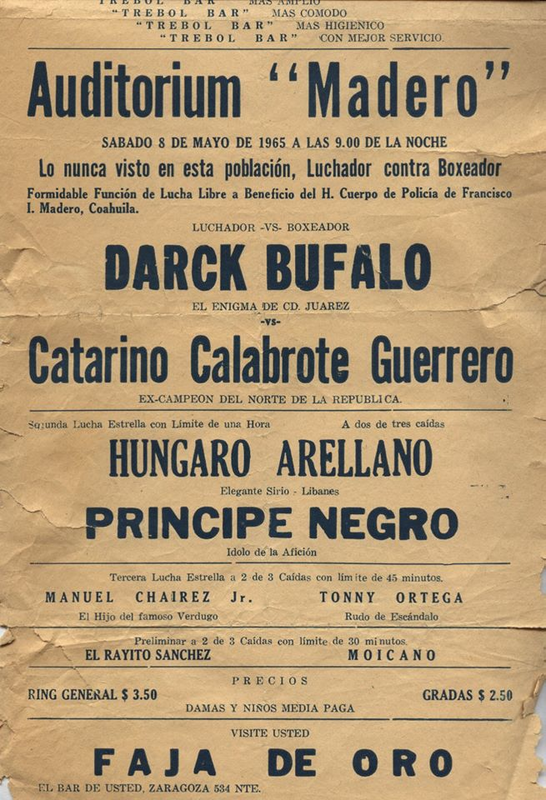 4) Cavernario II b Chato Quezada Event Notes: date is a guess; listed as last night, thought they're really never able to put last night's results in print. 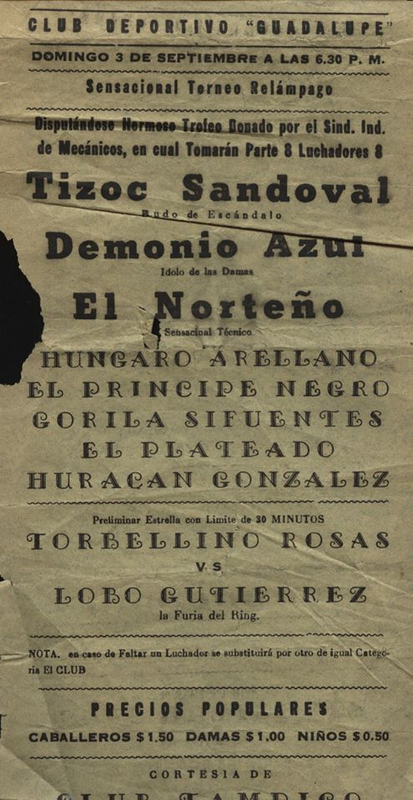 2) El Norten b ? 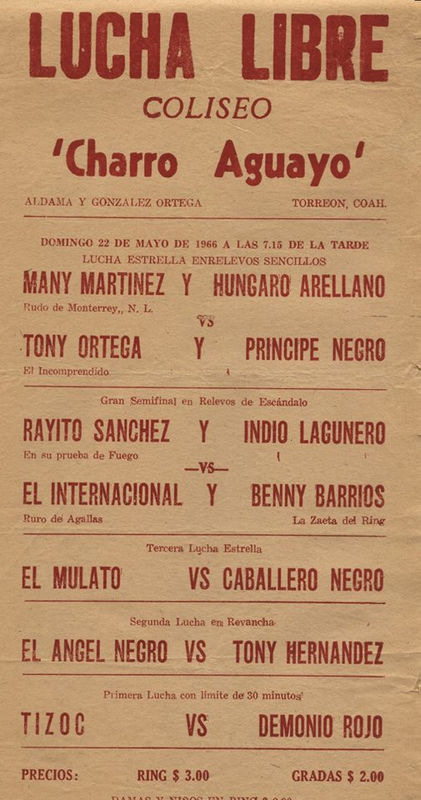 ## also on the card. 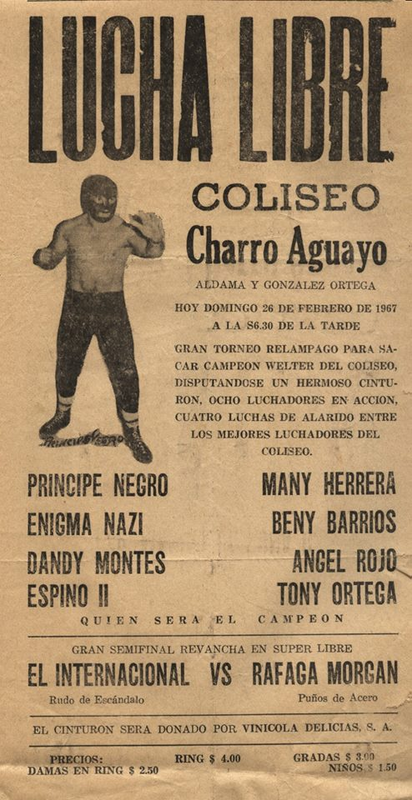 1) Ciclón Veloz Jr. b ? 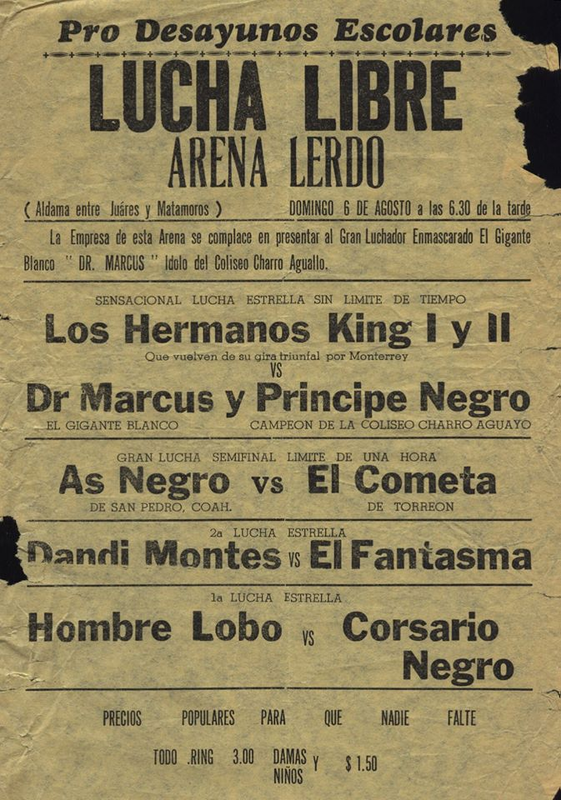 ## Danger pulled Cosaco's mask off in the second fall. 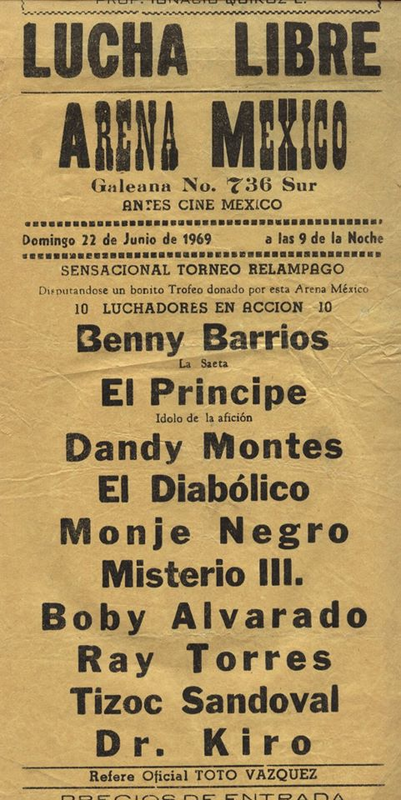 2) Benny Barrios vs ? 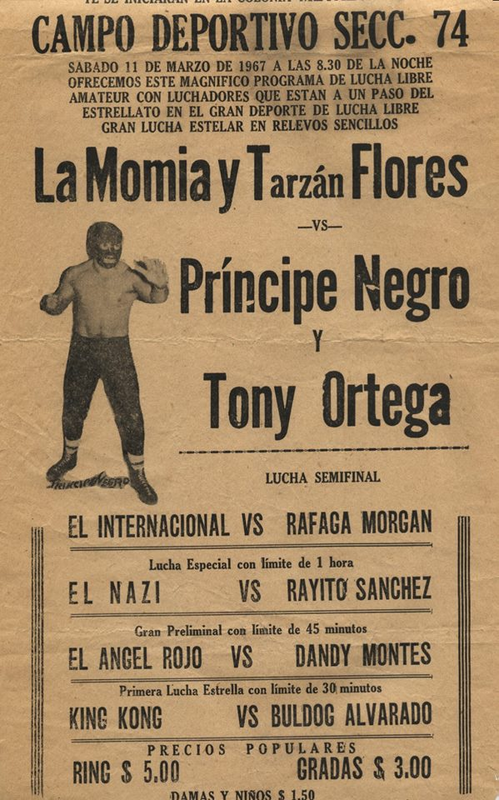 2) Tony Ortega vs ? 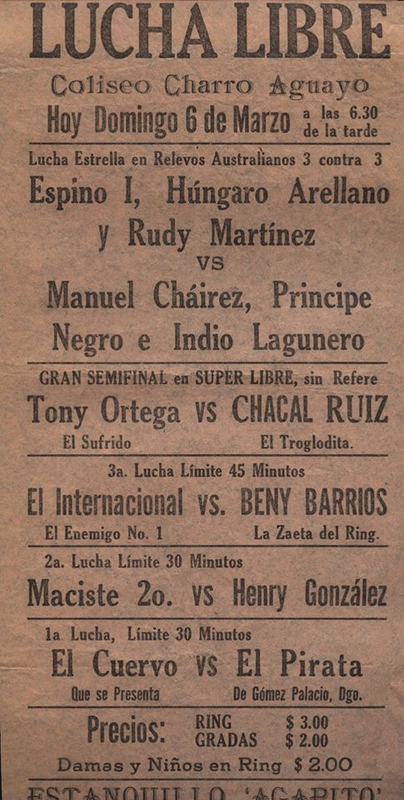 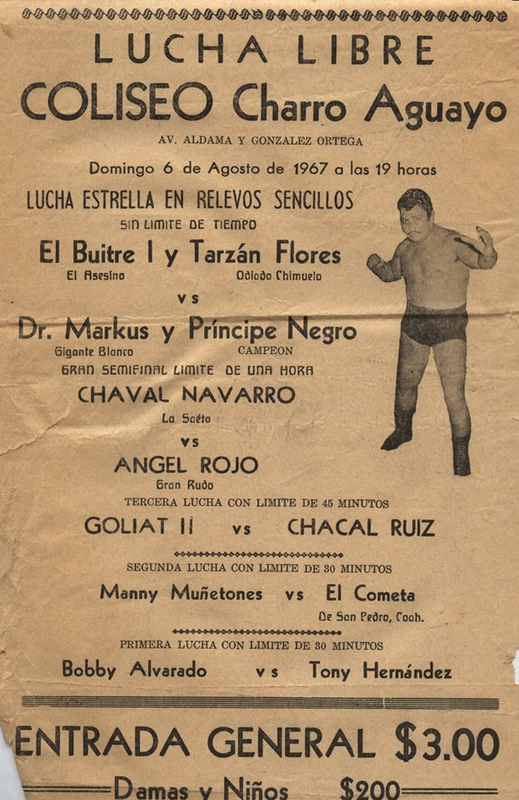 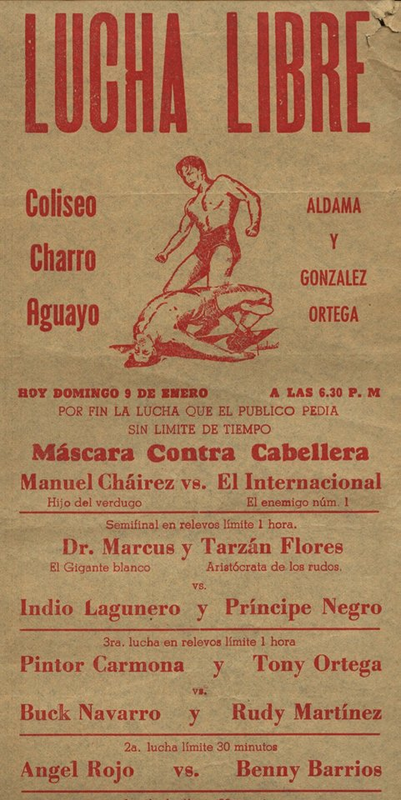 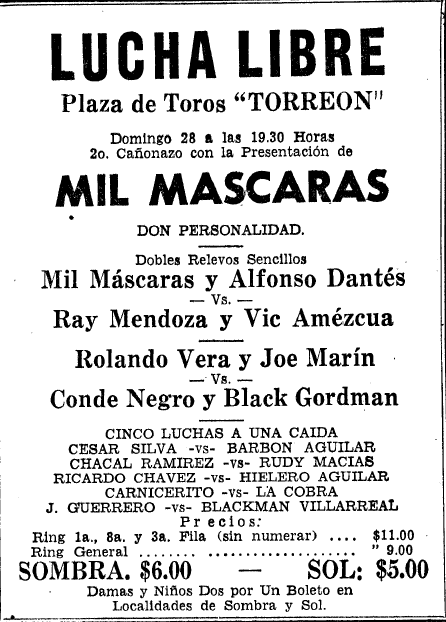 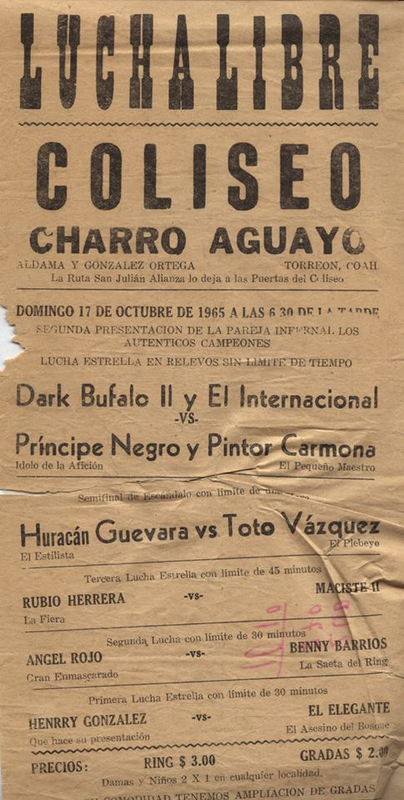 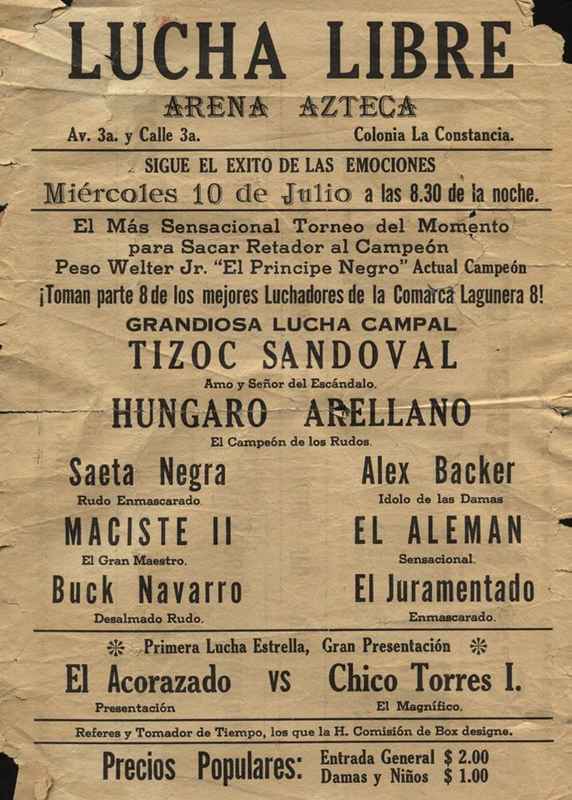 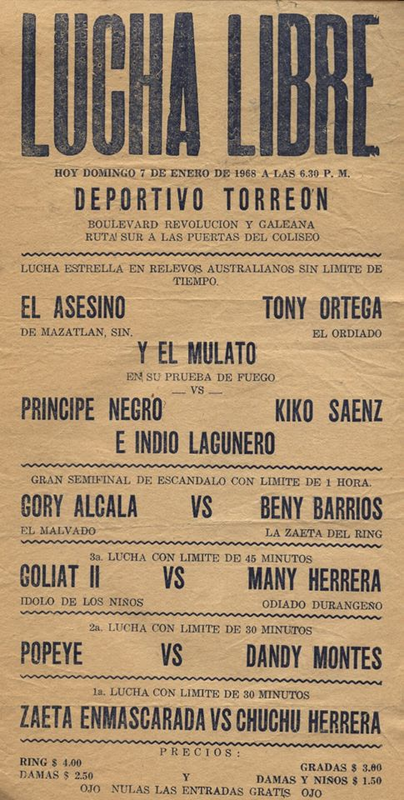 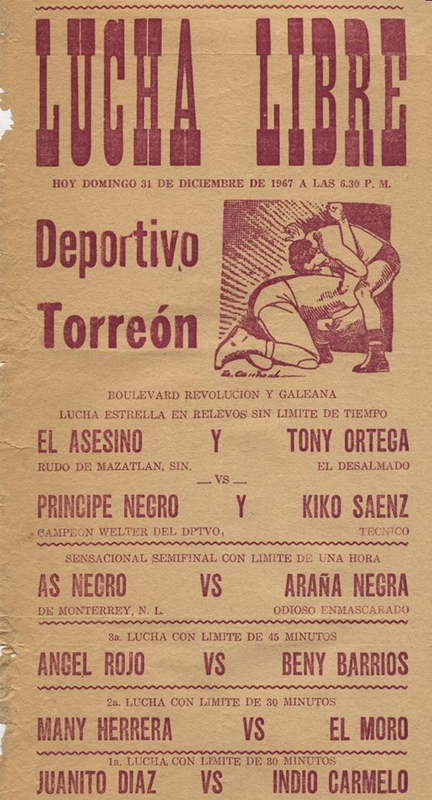 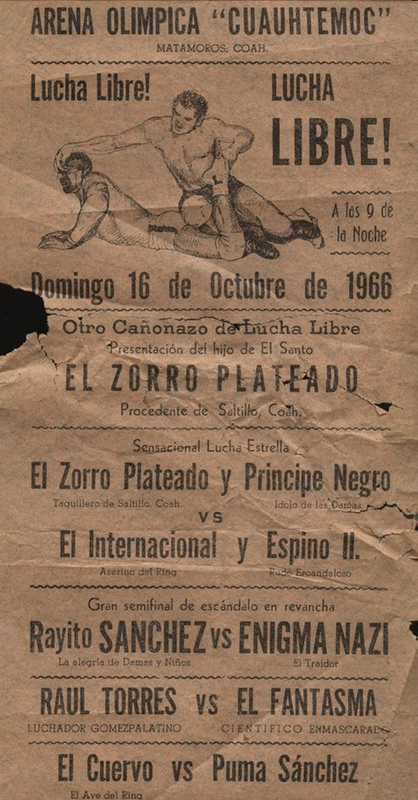 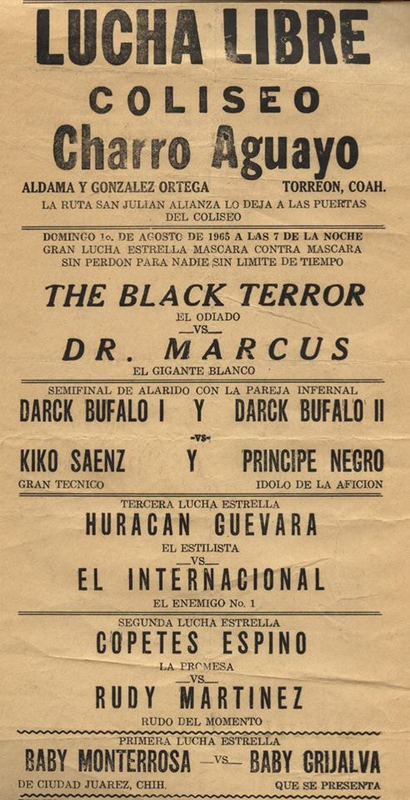 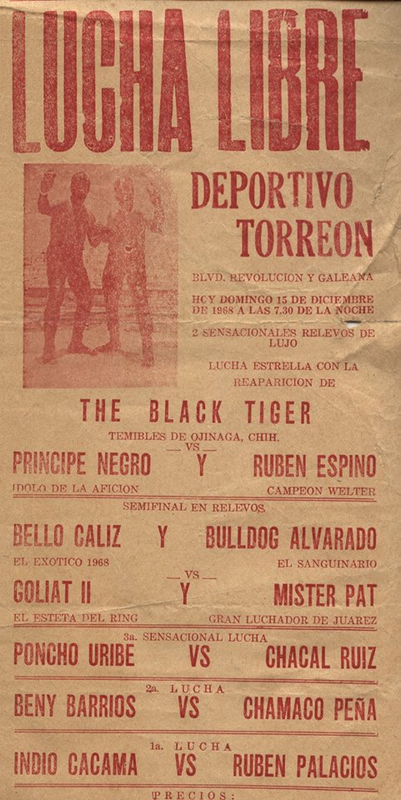 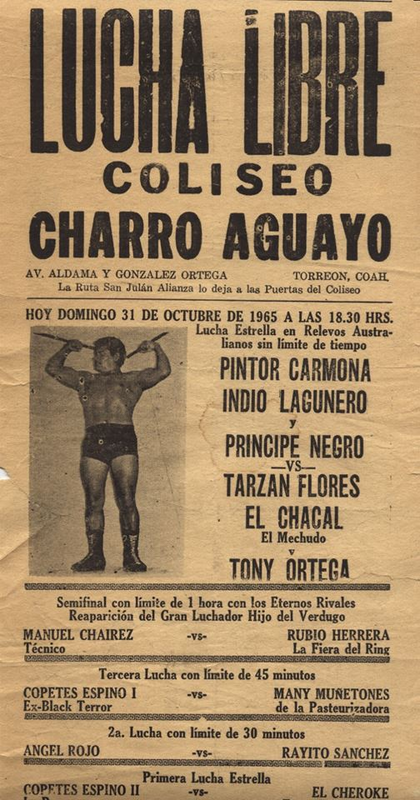 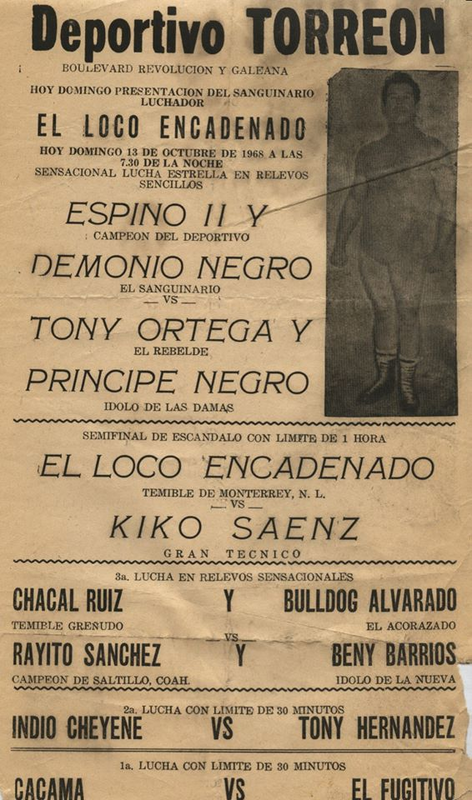 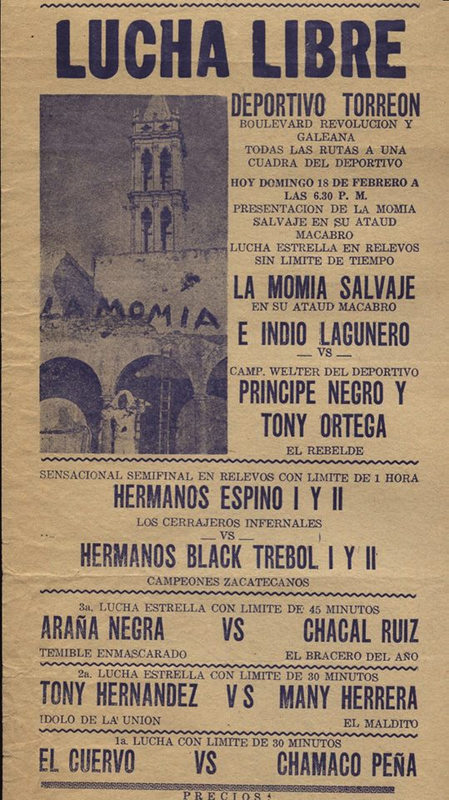 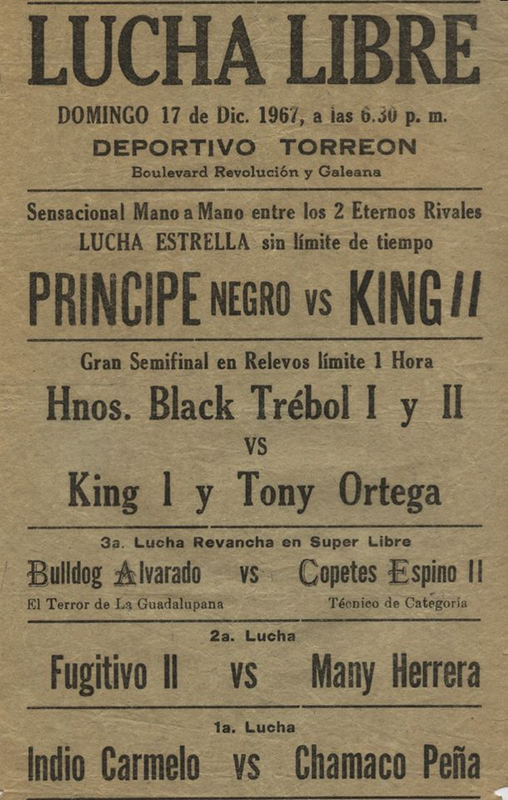 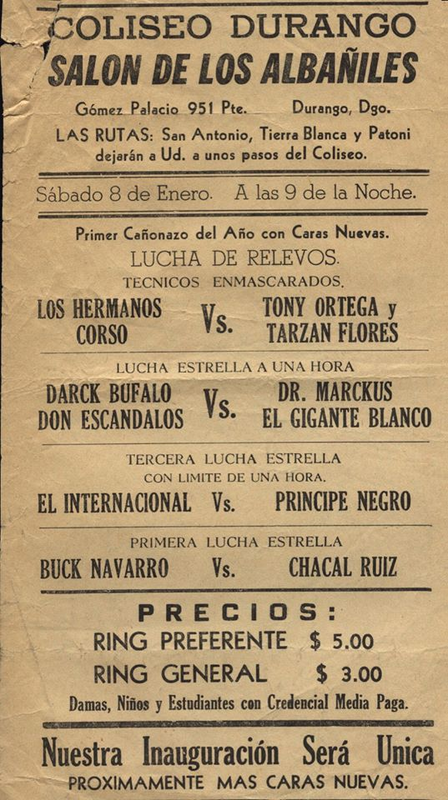 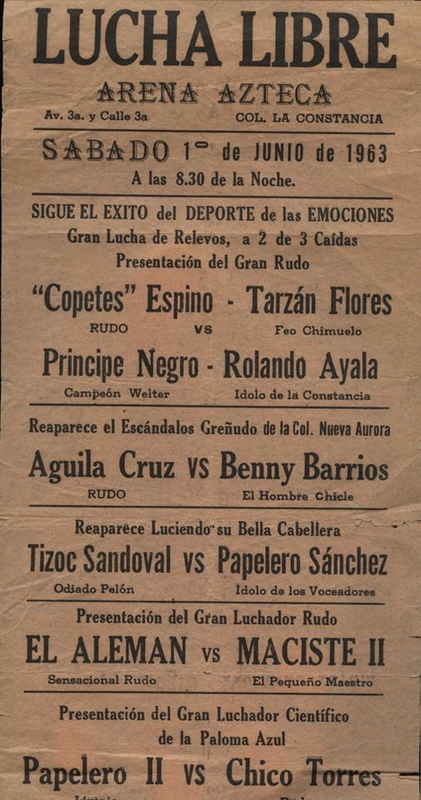 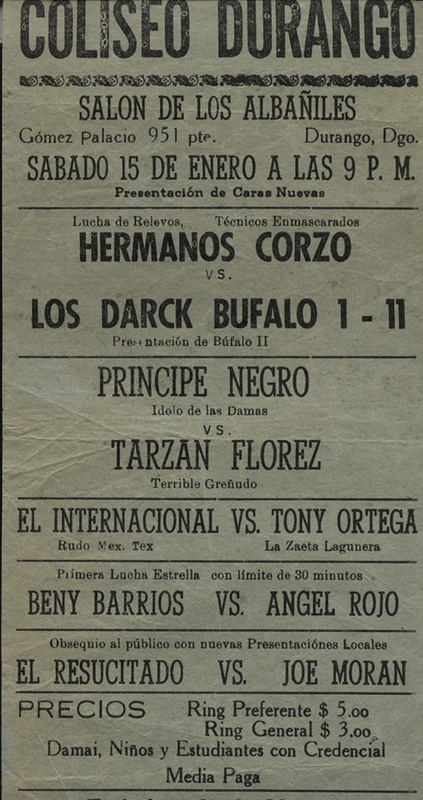 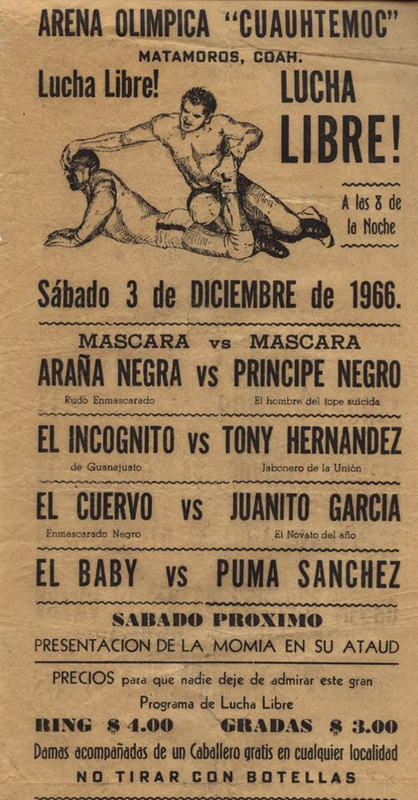 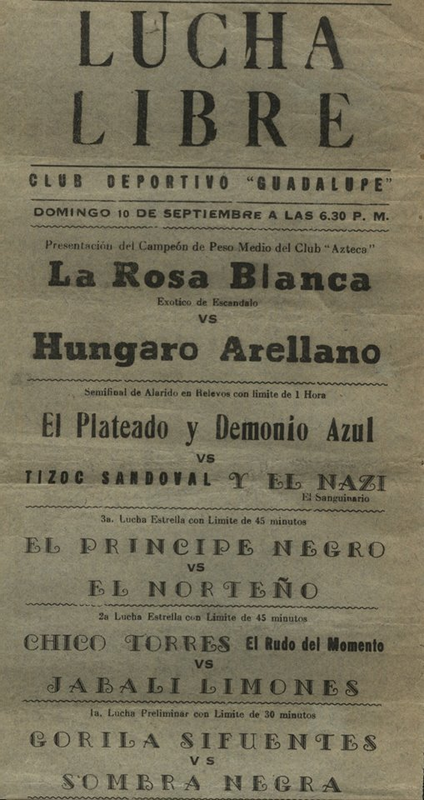 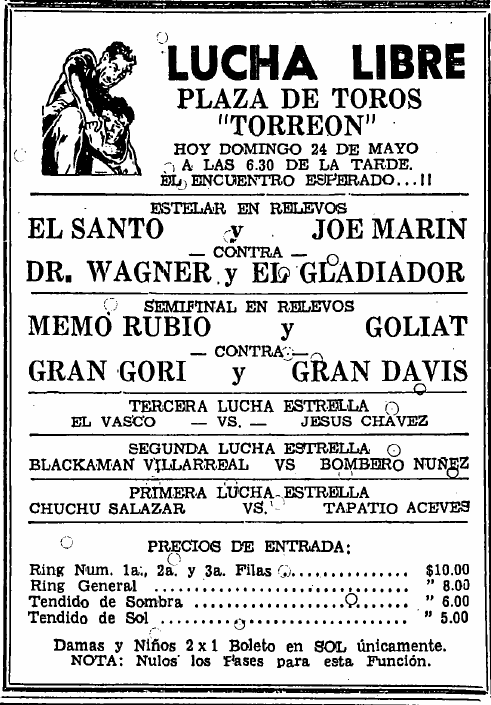 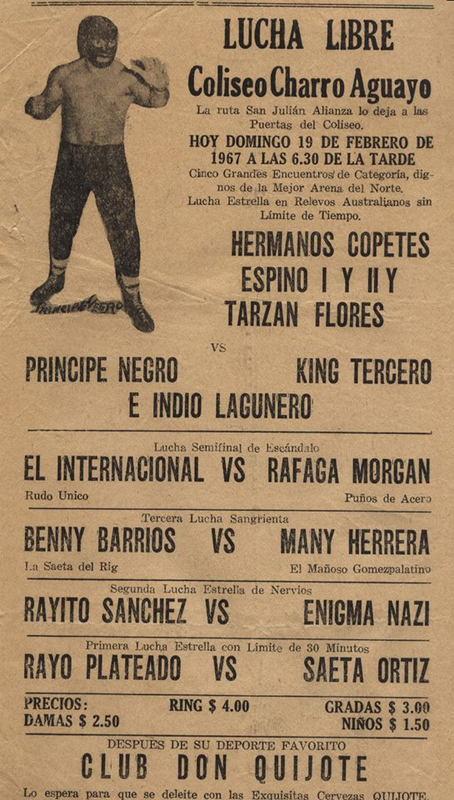 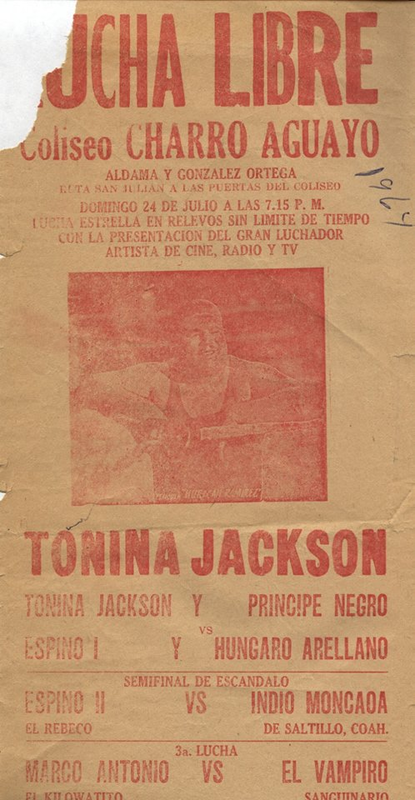 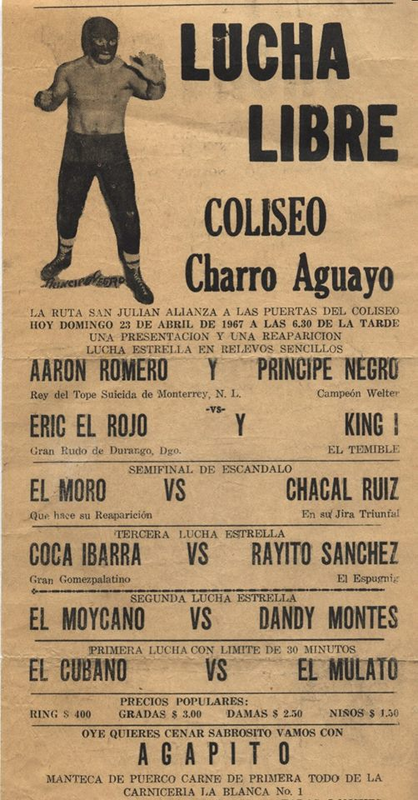 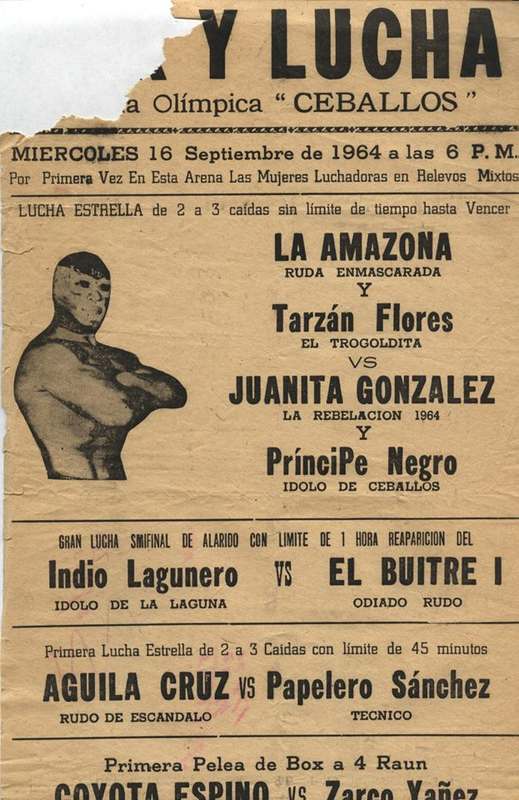 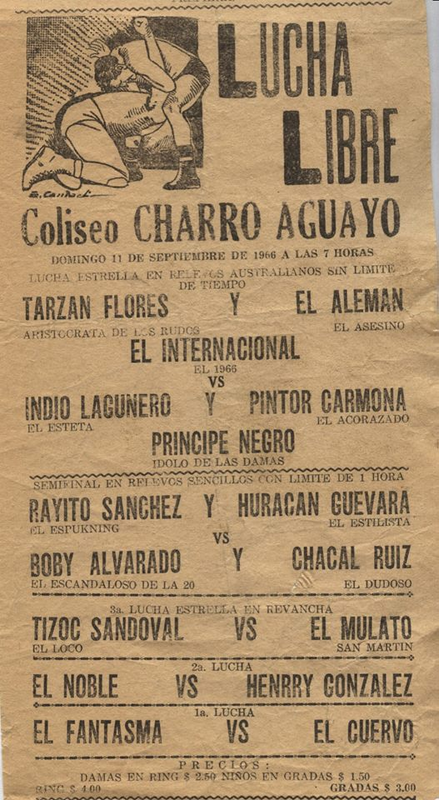 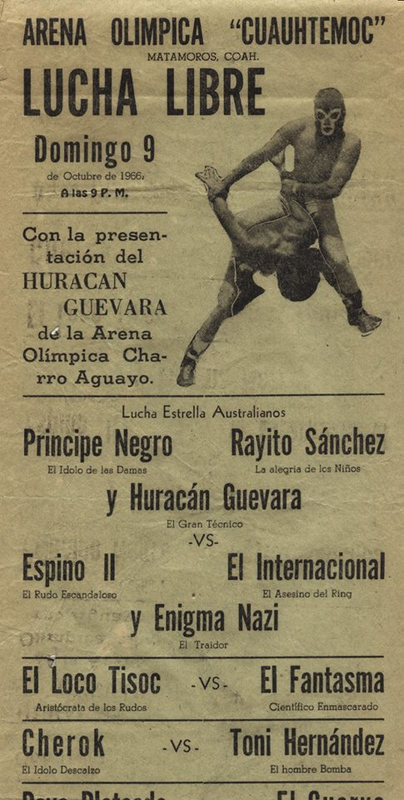 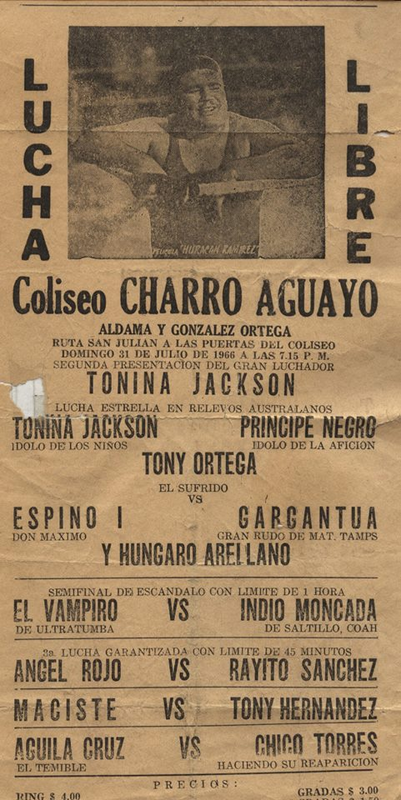 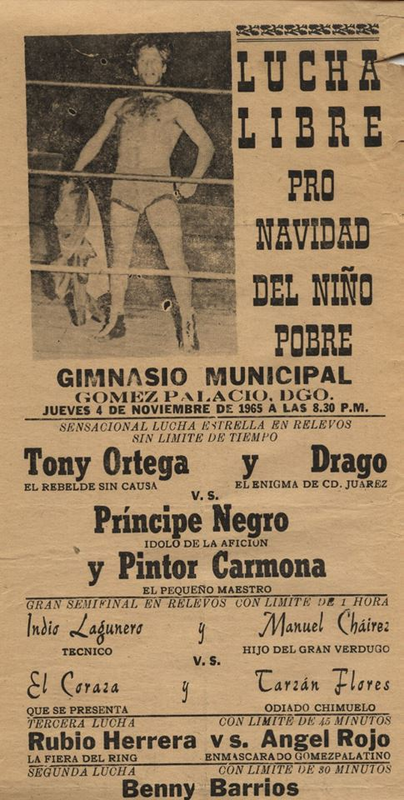 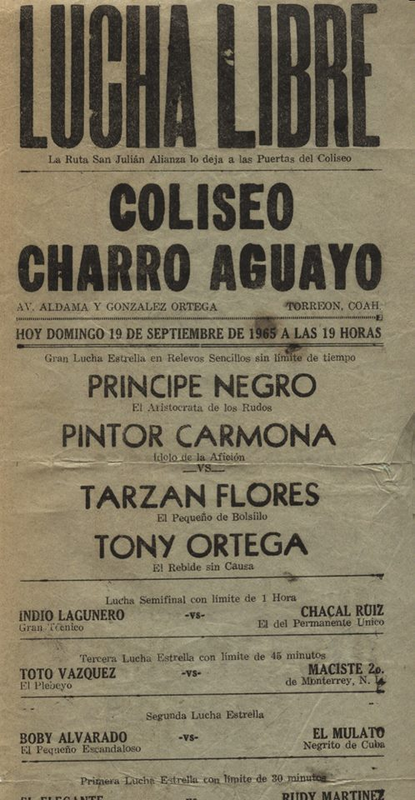 5) Manolo Polman & Pancho Pino vs Black Shadow & Tito Kopa Event Notes: same card appears next week; this show rained out? 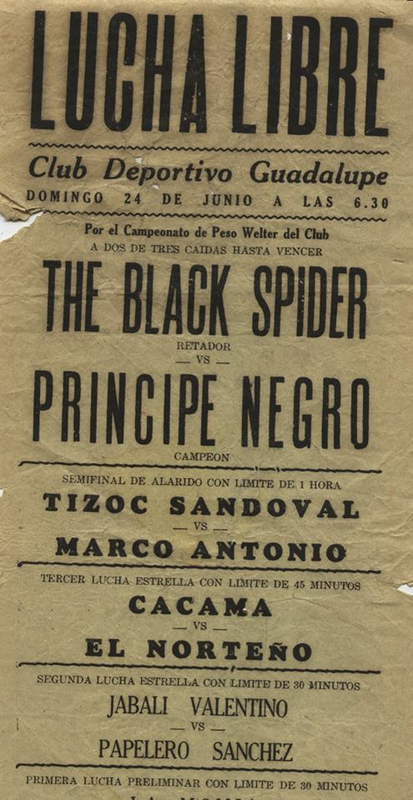 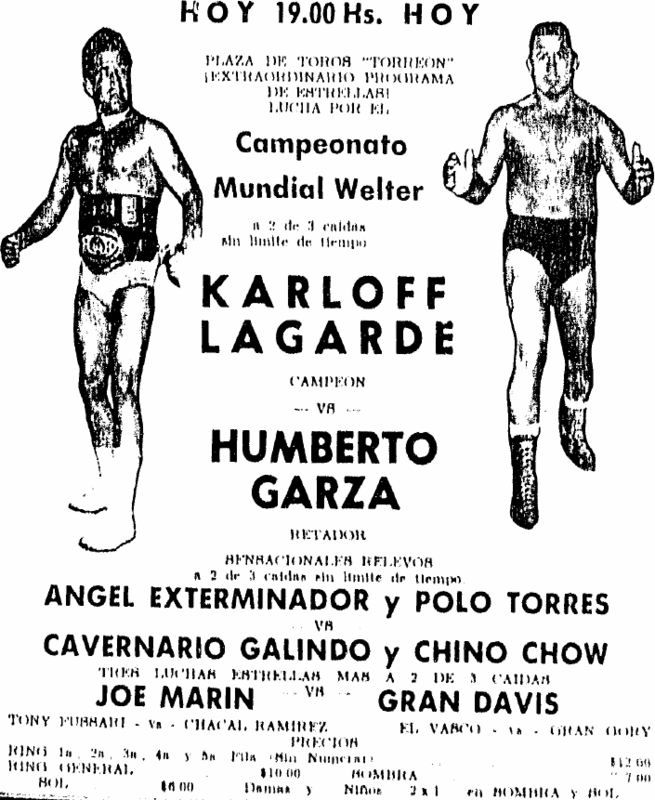 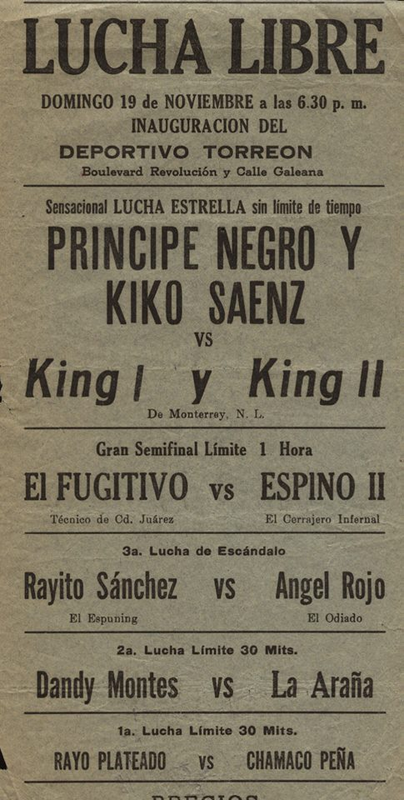 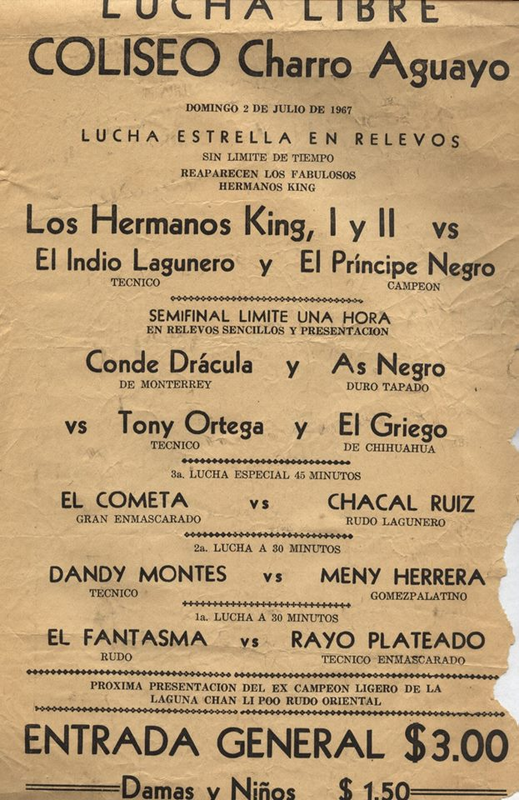 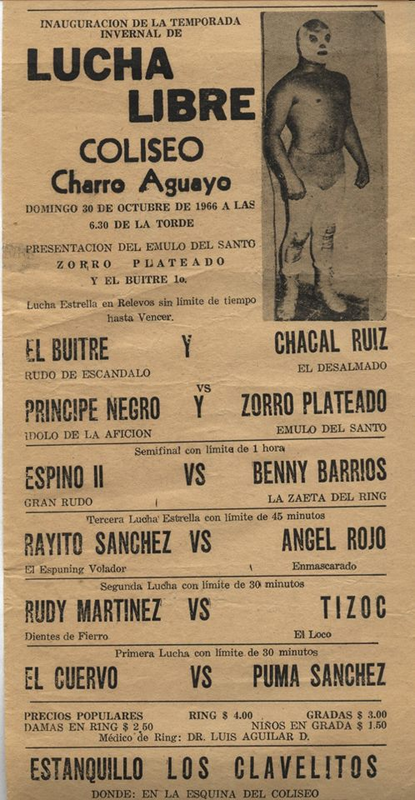 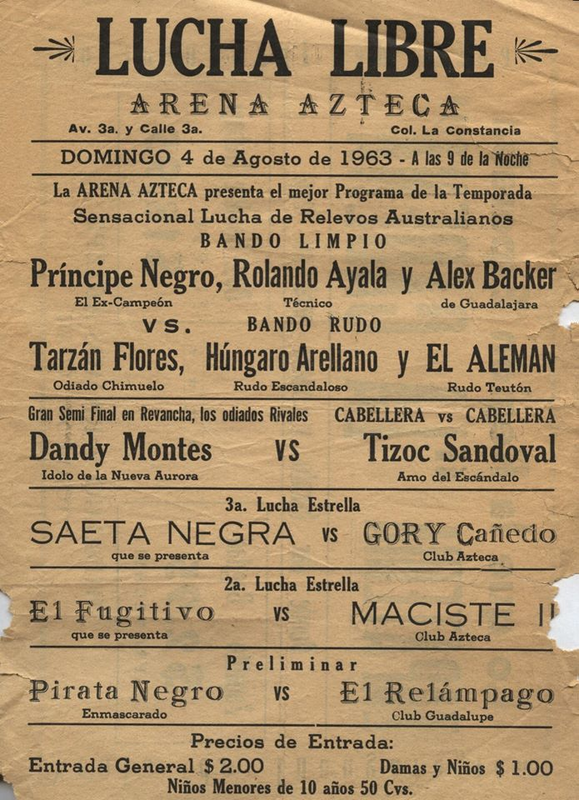 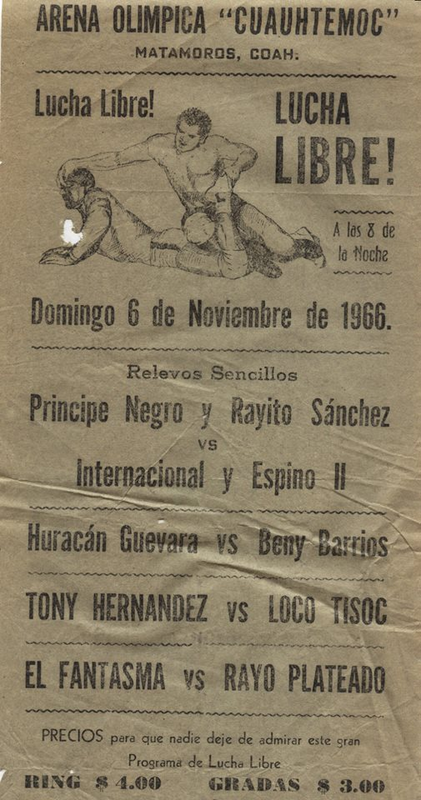 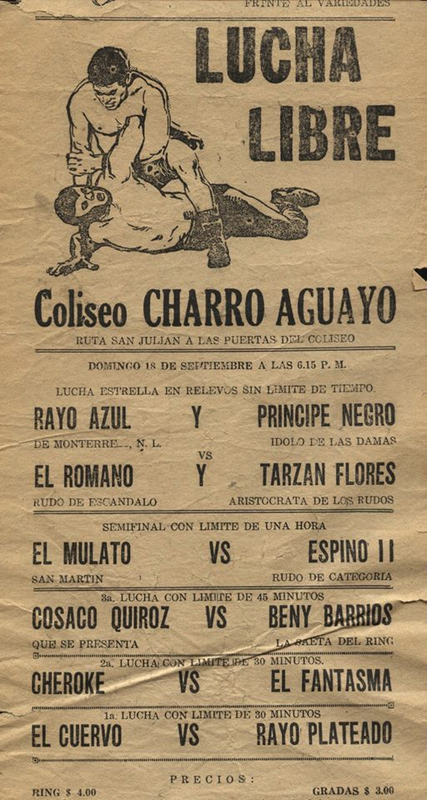 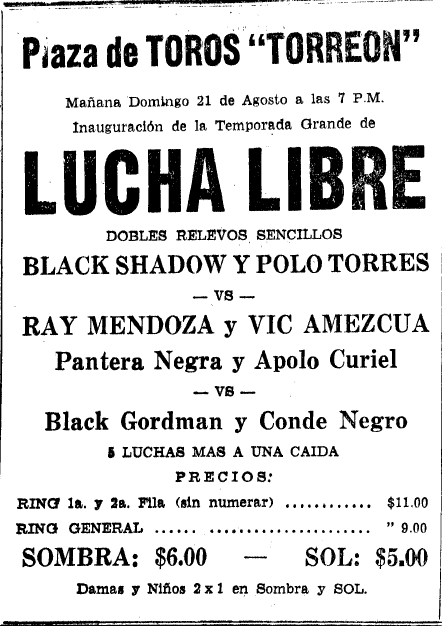 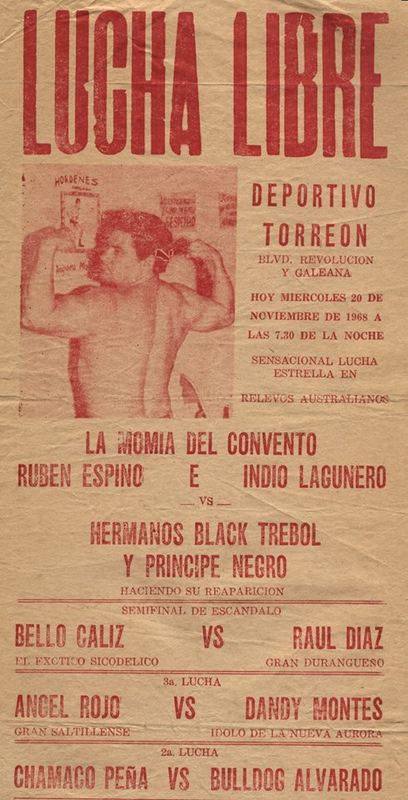 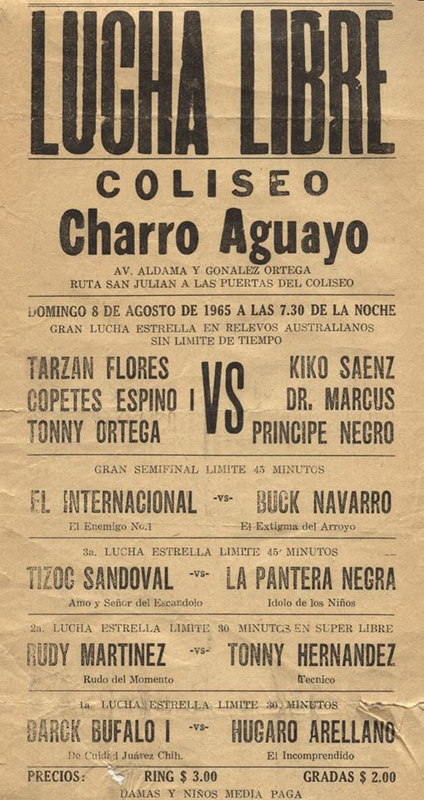 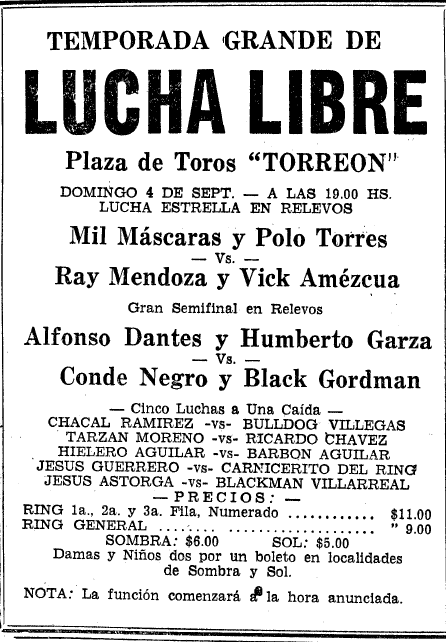 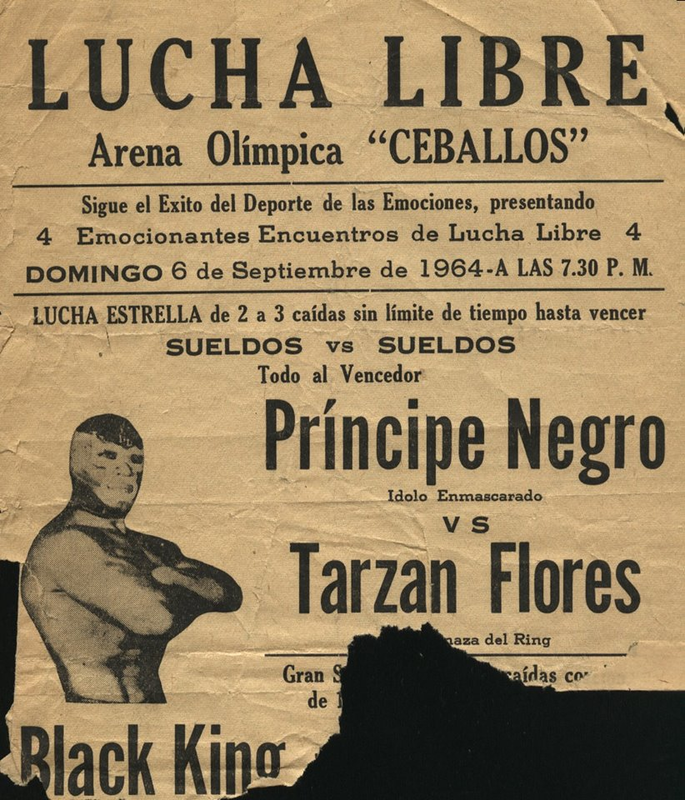 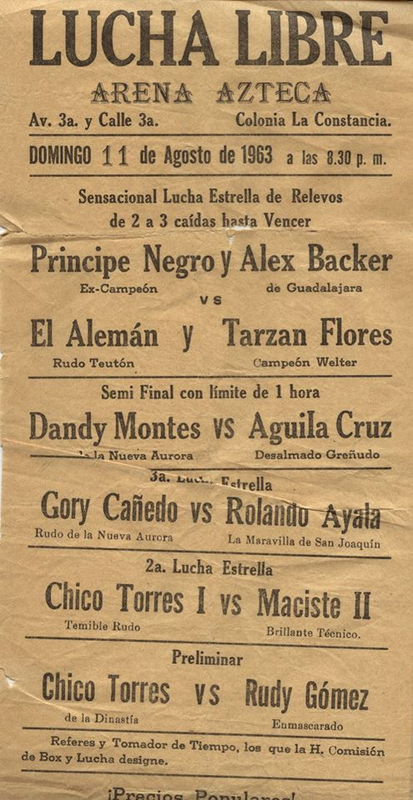 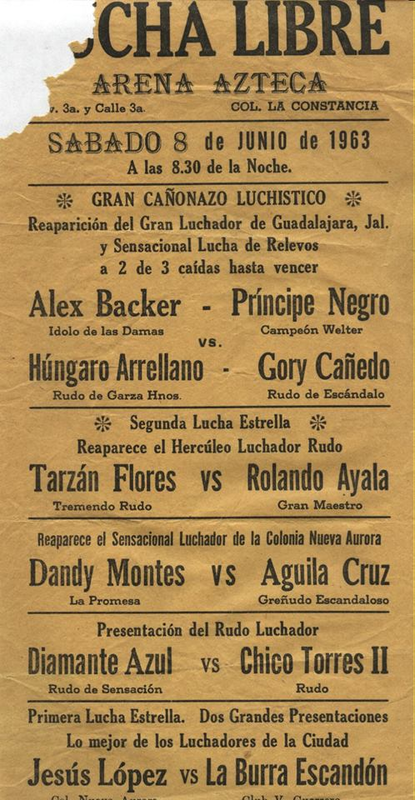 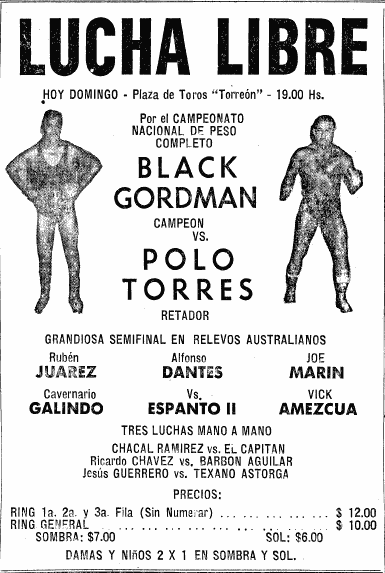 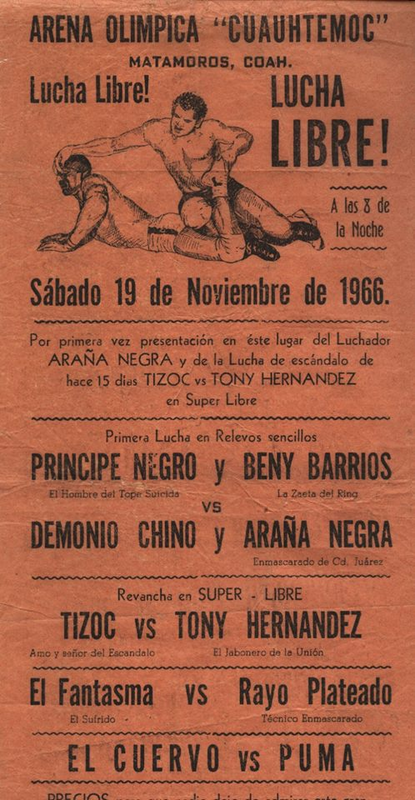 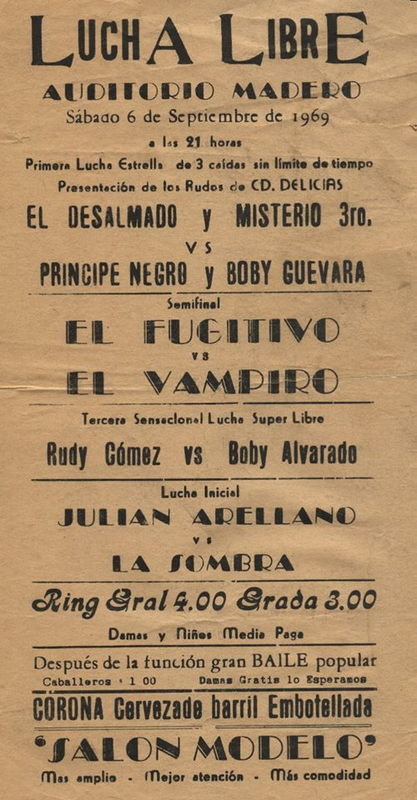 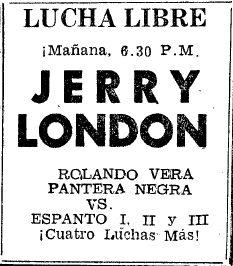 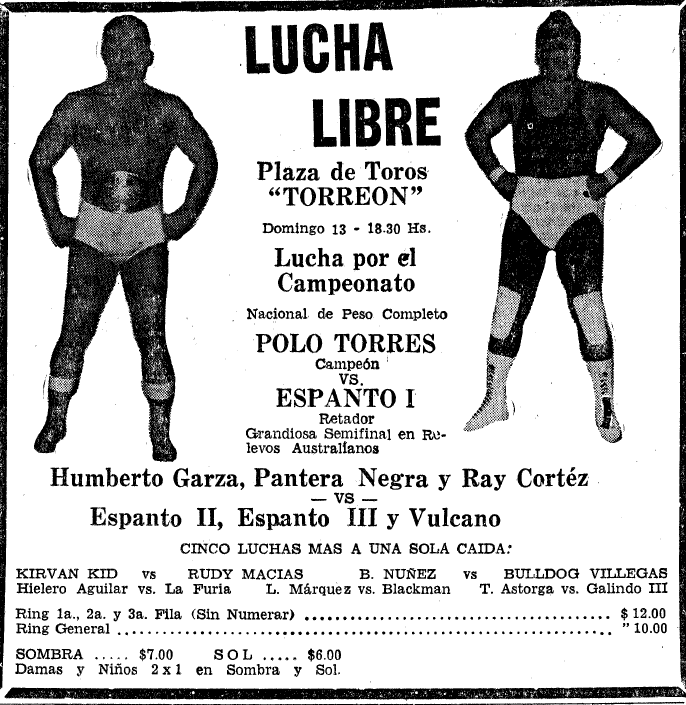 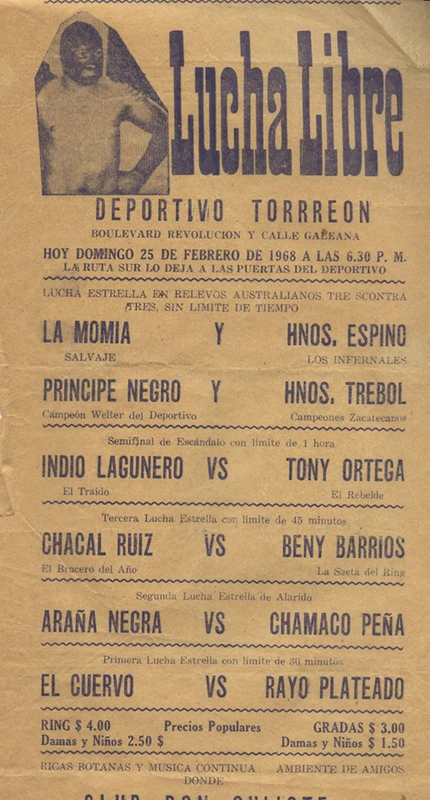 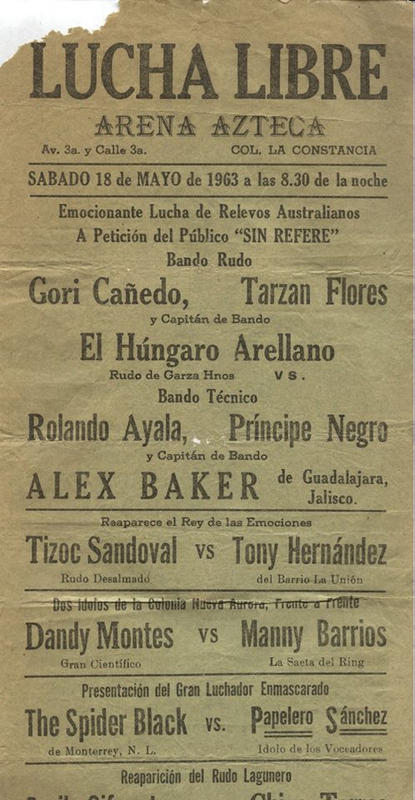 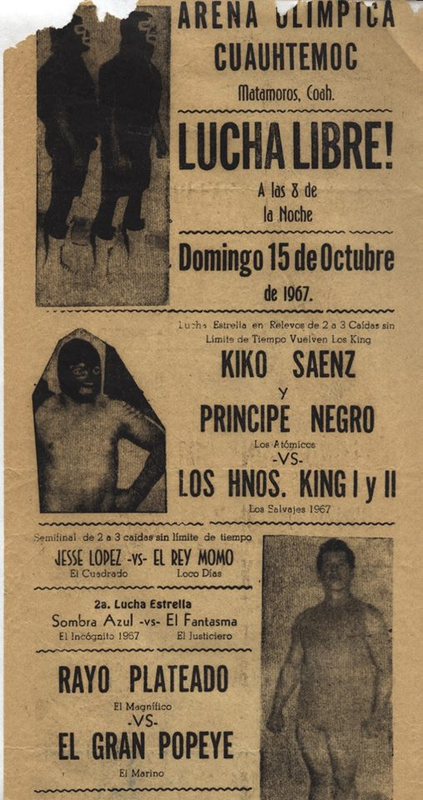 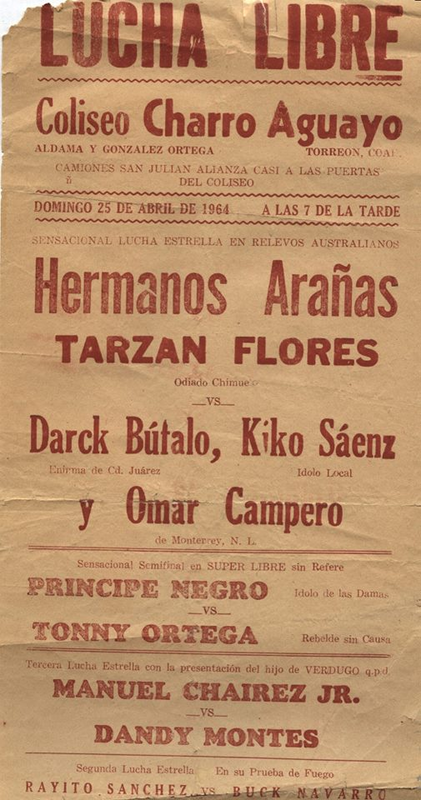 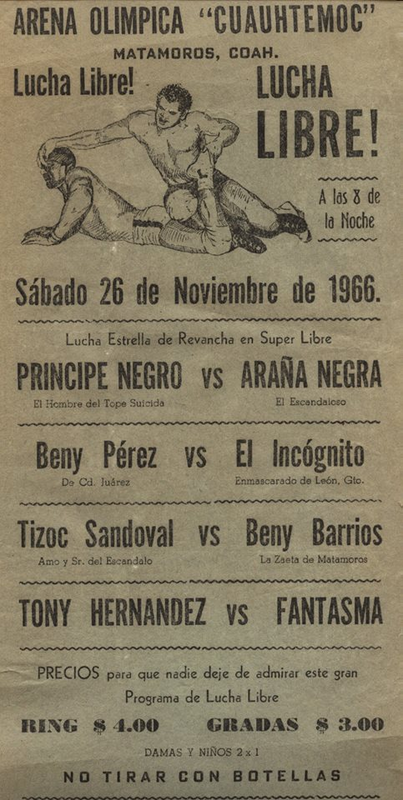 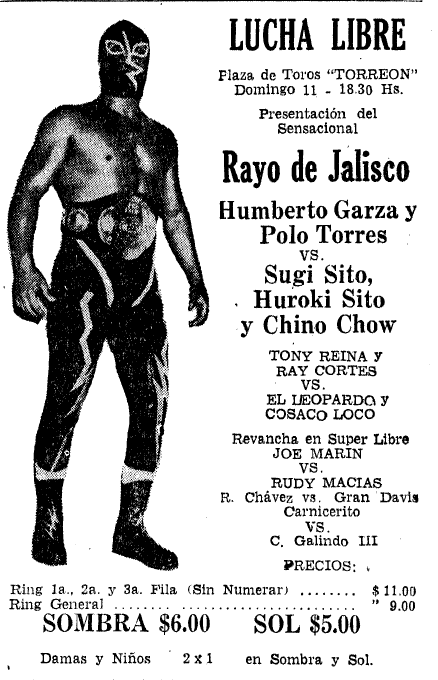 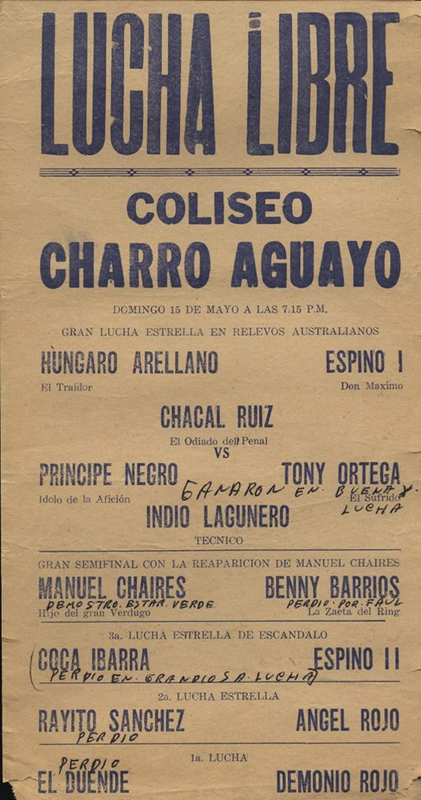 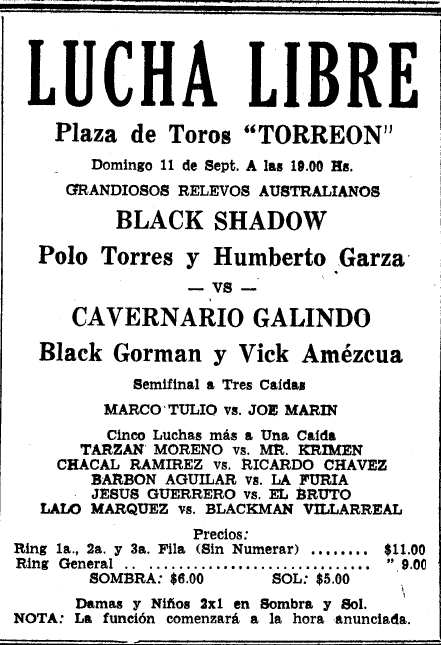 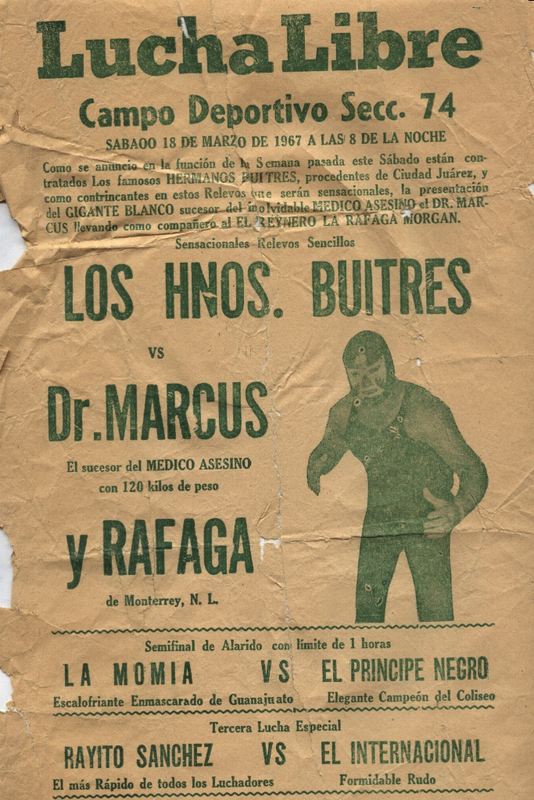 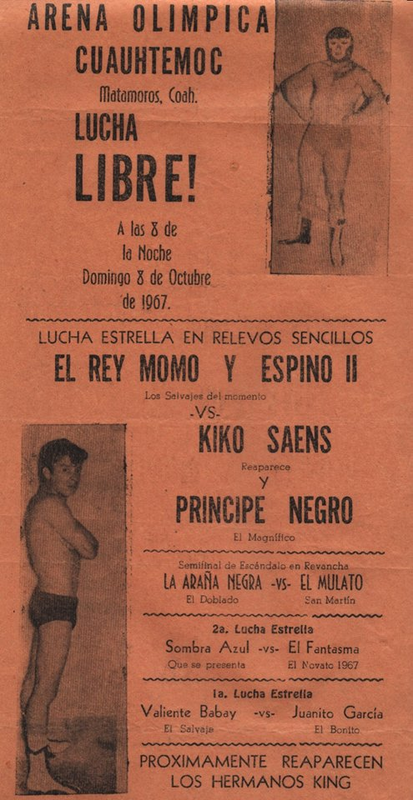 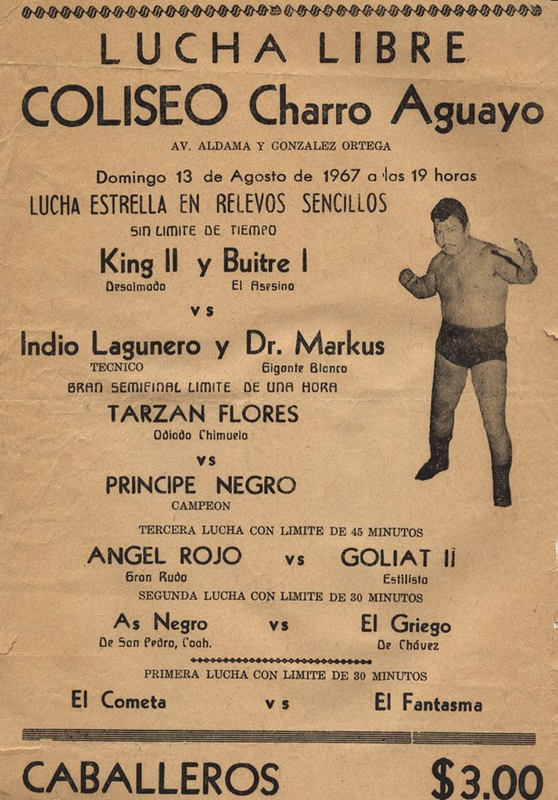 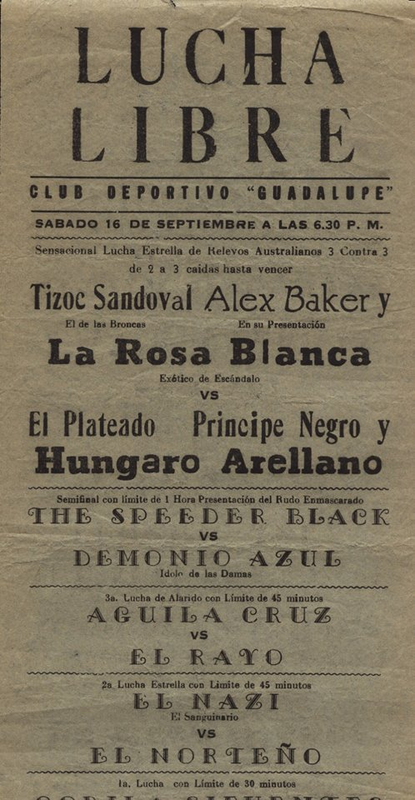 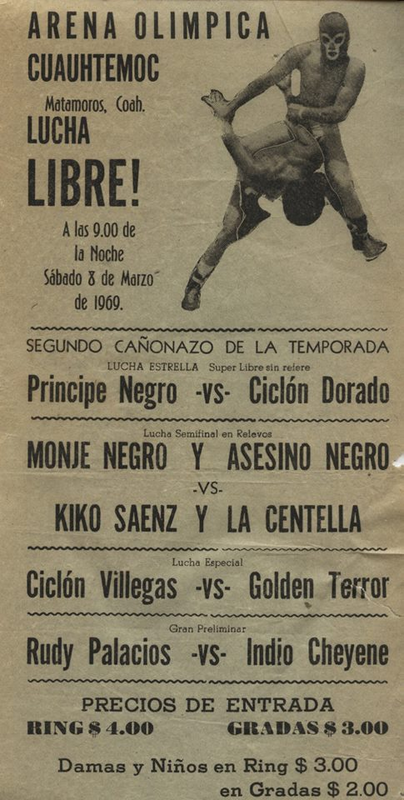 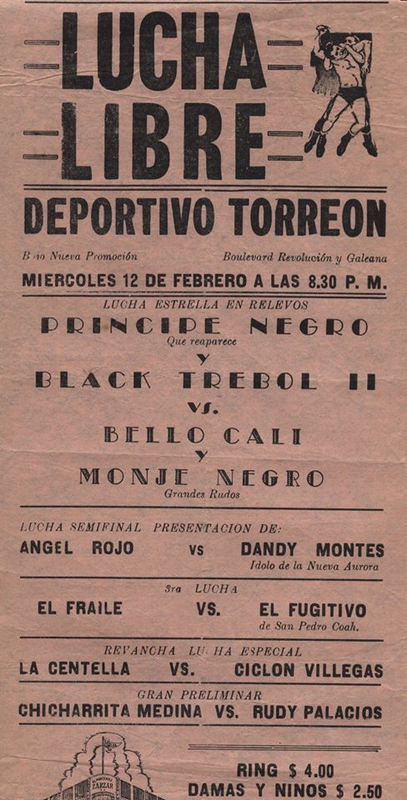 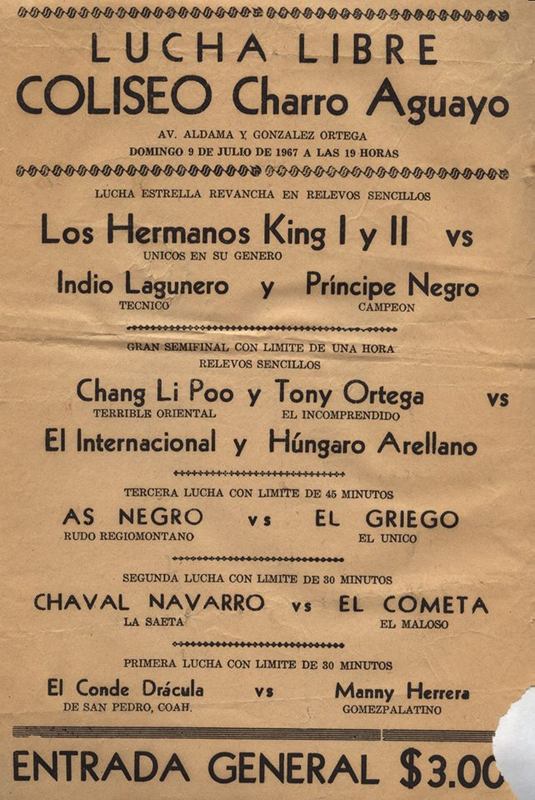 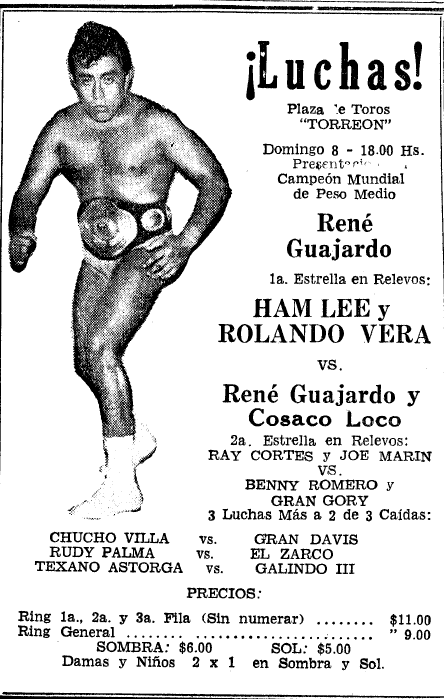 5) Manolo Polman & Pancho Pino vs Black Shadow & Tito Kopa Event Notes: same card as last week. 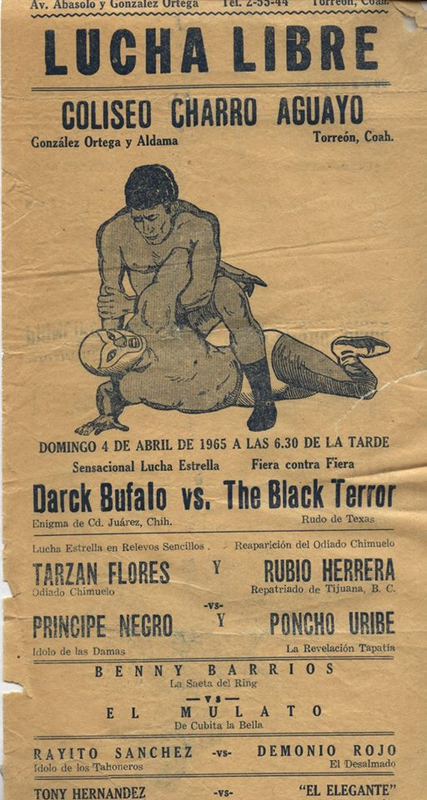 ## Blanco probably saved his mask and took Torres' hair if it happened.